John Hooper is a British journalist and writer and it was his perspective on Italy that inspired the title of a new editorial project that takes the form of a street photography photobook. 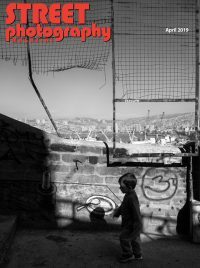 The book is being produced by the Italian Street Photography collective. The idea was conceived by Angelo Cucchetto and the images for the book were curated by Benedetta Donato. Featured artists include members of ISP: Enrico Barocci, Michele Battilomo, Gustavo Boemi, Adriano Cascio, Ciro Cortellessa, Francesca Fabiano, Lorenzo Fasola, Giorgio Galimberti, Giuseppe Pons, Andrea Scirè, Maurizio Targhetta. The photobook is being published through Crowdbooks, which is a pretty nifty way to fund street photography projects if you ask us. For more information about the book and to pre-order your copy, click here.